Settle your hearts, dear friends. Our praise of God should not be directed by our circumstances. We should praise God simply for WHO He is. So, when you praise the Lord, it doesn’t mean you are always happy about your circumstances. It’s not about jumping up and down with joy and excitement all the time. Did you know there are many different ways we can show our praise for the Lord? According to Bakers Evangelical Dictionary of Biblical Theology, words that are often used as synonyms with “praise” and help point to its meaning are: bless, exalt, extol, glorify, magnify, thank, and confess. 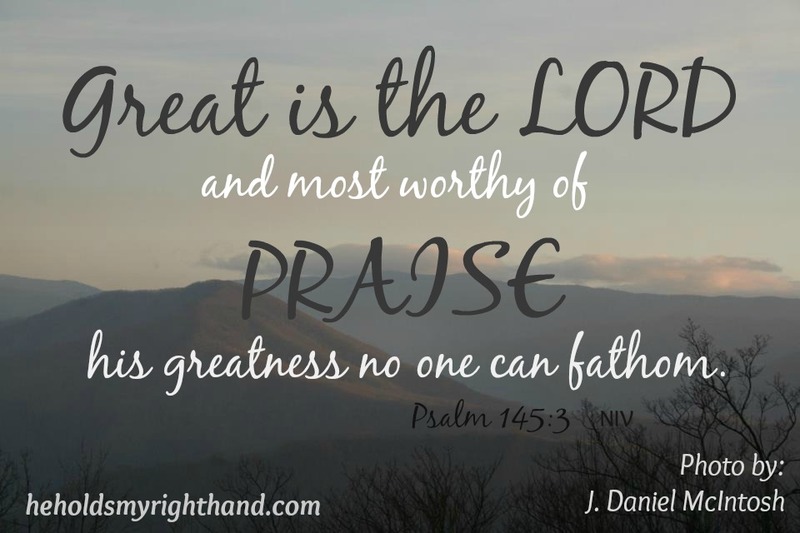 In other words, praising God is calling attention to His glory, or giving Him the honor and respect He deserves, blessing His name even during our darkest times - simply because He is WORTHY of our praise. Psalm 66:17- I cried out to him with my mouth; his praise was on my tongue. According to The Pulpit Commentary, this verse means: I was so confident of being heard that a song of praise was already in my mouth, on the point of bursting forth. 2. Tell Him how we feel - worn, worried, tired, afraid. 3. Ask Him to carry us through. Psalm 149:3 - Let them praise his name with dancing and make music to him with timbrel and harp. Singing to the Lord (at least with our hearts, if not our voices). Focusing on the words when we listen to our favorite Christian music, or by playing it on a musical instrument. Psalm 100:4 - Enter his gates with thanksgiving and his courts with praise; give thanks to him and praise his name. Even when life is hard, we can thank the Lord for being there to help us through it, we can focus on the good things in life, and we can especially focus on the fact that HE is always good. I pray this has been an encouragement to you, and that you will remember you CAN praise the Lord at all times as you go about your week. You can praise Him through your prayers, through your music, and through your thanks. Even on your difficult days, He is always worthy of praise, because He is a good God, and our circumstances don’t change who He is. A special thanks to my husband, David, for helping me edit this post. "to express thanks to, or love and respect for (God)" This totally can be even a "bad" situation.